With the digital migration tsunami announcing its impending media disruption a whole decade in advance, it is instructive that major media houses in Kenya, some half a century old, were still caught flat footed. Too big to fail. That’s what some financial institutions were deemed to be during the credit crunch in America. The too big to fail theory asserts that certain corporations, particularly financial institutions are so large and so interconnected that their failure would be disastrous to the greater economic system, and they therefore must be supported by government when they face potential failure (Wikipedia). I will use the term loosely here to refer to institutions that, propelled by complacency, feel they are too big to fail and see no need to change how they sell. With the capping of interest rates, I hope our banks won’t fall into the same ‘too big to fail’ trap as did some media houses with the digital migration. This is the thrust of this post. With the digital migration tsunami announcing its impending media disruption a whole decade in advance, it is instructive that major media houses in Kenya, some half a century old, were still caught flat footed. Even when the tsunami was upon them they were still in denial. We are too big to fail must have been their attitude; plus we are a cartel. And so they fought to stop an idea whose time had come. And we all know what they say about that. Of course they lost. They were switched off and over half of Kenya was plunged into TV darkness. Prof. Ngugi Njoroge. 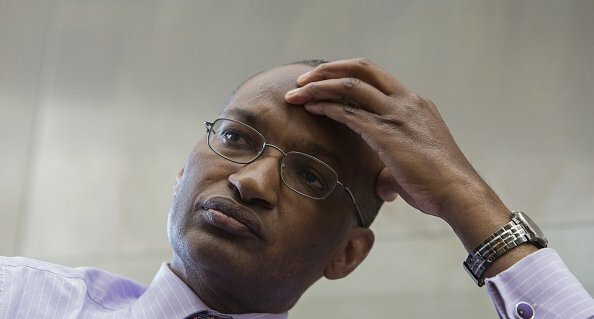 Governor CBK. And what a fight they had put on! Decoder vendors like StarTimes had taken heed of the tsunami warning and ridden the wave of change. As part of the futile fight media houses put up was to take StarTimes to court for carrying their free-to-air content for, er, free. Then they took on CAK (Communication Authority of Kenya) to court and Parliament seeking to have the decision reversed. Then they insisted on carrying their content solely on their set-top boxes , which they would now hurriedly import and distribute first for Kes.500, then, almost immediately, for free; something they should have done a whole decade earlier and led (not followed) the digital migration! And when all this failed, they clutched at straws with the final gambit: Kenyans will protest the ‘TV darkness’ and influence a reversal-we didn’t. (In fact, one million Kenyans are still switched ‘off’) Instead, Kenyans discovered they could live without TV. Just as many discovered they could easily walk home when matatus went on strike protesting the installation of safety belts, speed governors and carrying excess passengers (What a cheek!). Even they thought they were too big to fail. Meantime, media houses were haemorrhaging revenue. With half of Kenya switched off, advertising reach was compromised. Consequently, advertising contracts had to be reviewed and sales suffered. Long story short, they fought a futile battle for about three months and finally went digital, and became another statistic that nothing (not even a cartel) can stop an idea whose time has come. The price some are paying today for that ‘too big to fail’ attitude is evident with the retrenchments happening and stations being closed. Admittedly, in a credit starved, SME propelled economy access to credit has far greater ramifications than ‘TV darkness’. Further, Kenyan banks may not have had a globally sustained, decade old warning of the impending interest rate capping. Still, it’s here now and it doesn’t help that culturally, banks don’t lead, they follow. Innovation is also not in their DNA. And judging by their knee jerk reaction so far, they appear to be going the same way of the media houses. Will they succeed? Time will tell. Is this an opportunity for them to interrogate if their selling is led, not by a capacity to adapt, but by a ‘too big to fail’ attitude? I think so. Attitude Analysis of Kenyan Banks and MPESA, Capping of Interest Rates in Kenya, What next for Kenyan Banks?. permalink.